Sometimes you find products you had no idea you needed. 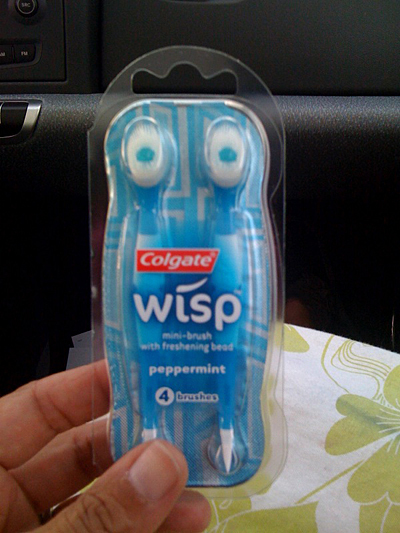 These teeny little Wisp toothbrushes are so cute! I feel kind of guilty, seems like a lot of plastic to throw out for one use. But sometimes you really need a quick brush on the go - coffee, onion sandwich etc. 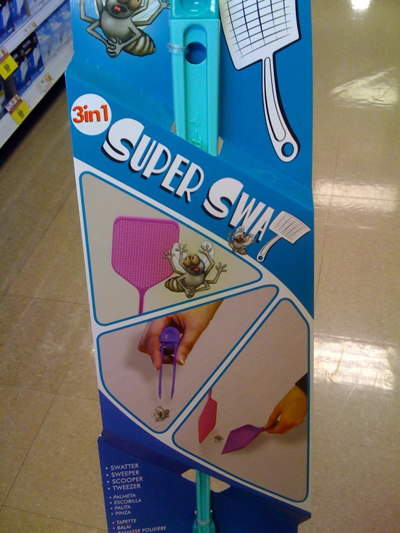 This caught my eye - Super Swat - swatter sweeper scooper tweezer. The tweezer part really cracks me up. I don't need one of these though. We have Stewie. He is a swatter sweeper scooper eater. The Wisp brushes aren't reusable though.